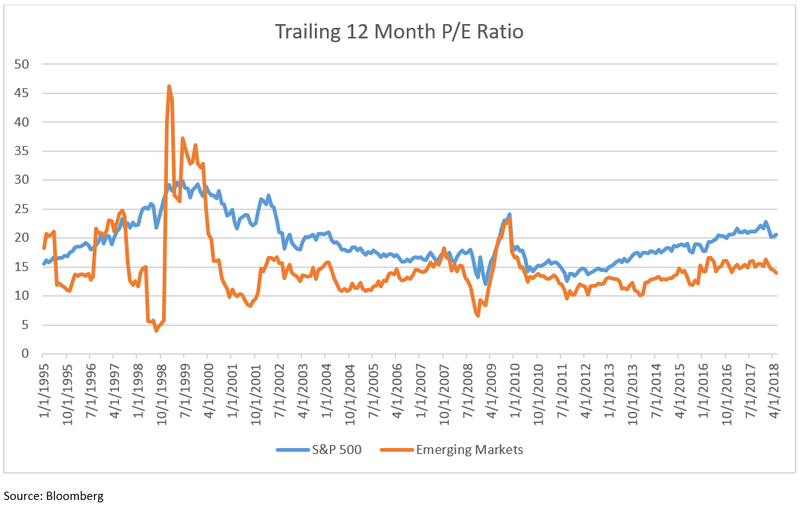 Also, the following graph shows that at times, investors are quite willing to pay higher prices for EM stocks. So, while the previous graph shows earnings will likely grow, the second graph shows valuations have room to expand over time. Both forces have the potential to drive EM stocks higher, and both are consistent with historical data. Quite simply, these countries are indispensable to the global economy and its future. They already represent a substantial amount of people, economic activity, and stock market value. They also have younger populations and higher rates of current and expected economic growth. Perhaps one of the biggest drivers of long term investment performance is how investors handle underperforming assets in their portfolio. A disciplined, long term strategy mandates patience and a willingness to hold through periods of underperformance. 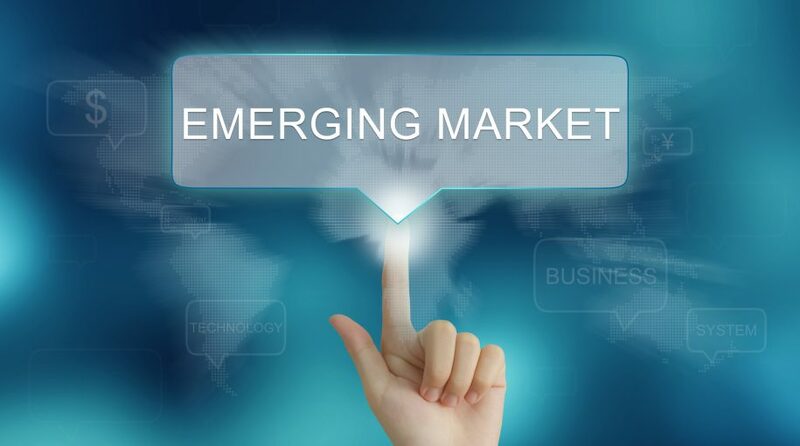 Those who follow this course currently with emerging markets stocks are likely to be rewarded in the future. This article was written by Ryan Gilmer, CFA, who is Vice President – Investment Management at TOPS ETF Portfolios, a participant in the ETF Strategist Channel. Valmark Advisers, Inc. (“Valmark”) is a federally registered investment adviser located in Akron, Ohio. Valmark and its representatives are in compliance with the current registration and notice filing requirements imposed upon federally covered investment advisers by those states in which Valmark maintains clients. For registration or additional information about Valmark, including its services and fees, a copy of our Form ADV is available upon request by contacting Valmark at 1-800-765-5201. This article provides commentary on current economic and market conditions and is not directly relevant to any particular client account. The information contained herein should not be construed as personalized investment advice or recommendations to buy or sell any security. There can be no assurance that the views and opinions expressed in this article will come to pass. Investing involves the risk of loss, including the loss of principal. Diversification cannot assure gains or protect against losses. Past performance is no guarantee of future results. Information contained herein is subject to change without notice and should not be considered as a solicitation to buy or sell any security. Indexes are unmanaged and cannot be directly invested in. Source: Bloomberg for historic price and return references, as well as charts. TOPS® is a registered trademark of Valmark Advisers, Inc.